Eve A. Brackmann is a partner at Stuart Kane LLP, and practices in the Litigation group. Ms. Brackmann litigates business disputes, including both regular and complex cases. As lead counsel in jury and bench trials in both state and federal court, as well as private arbitrations, she has established a winning record on both the plaintiff and defense sides. Ms. Brackmann specializes in real estate disputes as well as high-stakes business litigation for clients such as casino developers, shopping center owners, mortgage companies, and domestic and multi-national companies in sectors ranging from manufacturing to aviation. She has also represented property owners in a variety of first-party and third-party insurance coverage cases. Other clients have included big-box retail, design professionals, investors, shareholders, and employers. In the field of Real Estate Litigation, Ms. Brackmann handles cases arising from development and construction; landlord-tenant disputes and unlawful detainer; environmental and toxic-tort; property and association management; common area management and costs; purchase, sale, and option disputes; boundary, easement and neighbor disputes, and title insurance claims. In addition to real estate litigation, Ms. Brackmann also routinely defends employers in Employment Litigation, including wage-and-hour actions and class-actions; discrimination, harassment, and retaliation lawsuits; wrongful termination proceedings; compensation and commission disputes; whistleblower lawsuits; as well as trade secret, unfair competition, and non-compete agreement disputes. In her specialty practices of real estate and employment litigation, Ms. Brackmann draws from significant general Business Litigation experience in the areas of venture, partnership, and entity-related disputes; manufacturer, distributor, and UCC disputes; contract-related lawsuits; fraud, misrepresentation, fiduciary duty, and accounting actions; financing, lender, and foreclosure disputes; unfair competition and trade secret litigation; and defamation and anti-SLAPP suits. Not only is Ms. Brackmann a seasoned litigator, she also has a stellar record on appeal. Of her many successful appeals, two are groundbreaking, published opinions: Rodriguez v. American Technologies, Inc. (2006) 136 Cal.App.4th 1110; and Havasu Lakeshore Investments, LLC v. Fleming (2013) 217 Cal.App.4th 770. While an aggressive litigator and winning appellate practitioner, Ms. Brackmann also has an excellent settlement record. She has obtained highly favorable settlements for her clients through both mediation and informal negotiation, prior to incurring the expense of prolonged litigation or trial. Ms. Brackmann has been selected to the 2018 Best Lawyers list for Real Estate Litigation. 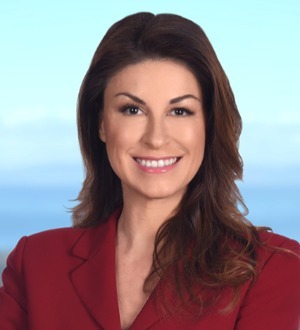 She was also recognized in 2016 – 2018 on the Southern California Super Lawyers list and previously to the 2013 and 2014 Super Lawyers “Rising Stars” list. Other recent awards include the 2014 Outstanding Young Lawyer award from the Los Angeles County Bar Association’s Real Property Section, the Los Angeles Magazine 2013 Top Women Attorneys and 2014 Outstanding Young Lawyers, and nomination for the 2015 Orange County Business Journal “Women in Business” award. Ms. Brackmann was also one of Stuart Kane’s contributing attorneys for the 2014, 2015 and 2016 World Bank “Doing Business” report on Real Property around the globe, and served for three years as a Director on the statewide Board of the Conference of California Bar Associations. For her local contributions to the legal community, she has also received numerous certificates of appreciation from the Orange County Bar Association.